Is Literacy a Human Right? Saturday, Sept. 8 is International Literacy Day, which since 1967 has marked the importance of literacy as a matter of dignity and human rights. The Office of the United Nations High Commissioner for Human Rights contends that all human rights are indivisible. Likewise, the deprivation of one right adversely affects the others. Across the globe, literacy is not only key to lifelong success, but is a precursor for people's ability to vote, advocate for change and otherwise fully participate in society. In the U.S., research shows that children who read proficiently by third grade are more likely to graduate high school. Other benefits stack up over time: students who graduate high school are better able stay out of the justice system, find jobs with livable wages, live longer lives and have children who also graduate on time. In other words, literacy protects and advances human rights. Like so many United Ways around the world, United Way of the Lowcountry recruits, trains and deploys reading and math tutors to elementary schools to help students like Angel. After sessions with a Read Indeed! tutor, Angel gained confidence and skills, and moved up three reading levels in one year. Nearly 100 percent of the program’s students have also improved their reading scores. Even with well-funded, functioning schools, it takes entire communities to support children from birth through elementary school, high school and career readiness. Families, teachers, early care providers, government, business leaders and community members all have roles to play. 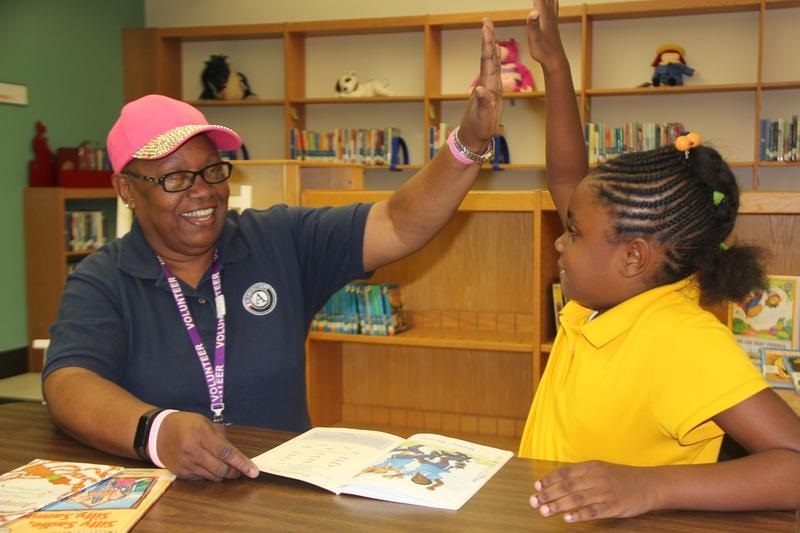 You can change a life by volunteering to read with and tutor students and adults alike. Many programs ask for only 30 minutes a week, either in-person or online. In 1,800 communities, your local United Way will help you get involved.